The first quarter of 2018 has proven to be a productive season for us as we focus on our mission to recover international voice traffic revenue for our clients around the world. In Q1 2018, LATRO partnered with mobile operators, telecom regulators, and law enforcement to locate and confiscate 150 GSM Gateways (fraudulent SIM Boxes). 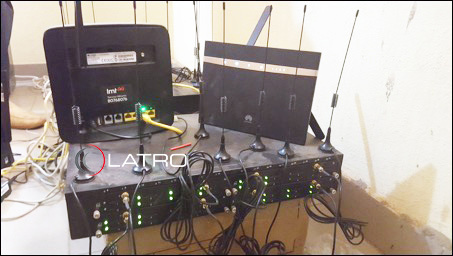 By removing these devices, which were being used to commit fraud by illegally routing international voice traffic, LATRO has helped mobile network operators see tangible increases to their international voice traffic revenue. To help give some perspective to the magnitude of the success of the past 100 days, it’s helpful to think of the device count in terms of potential revenue loss for an operator (also known as “Revenue at Risk”) and estimated revenue recovery. Each modem in a GSM Gateway is able to terminate one voice call and SMS transaction at a time. For example, the 32 modem Hypermedia device that LATRO confiscated earlier this Quarter in the Middle East could simultaneously terminate 32 separate voice calls at a time. 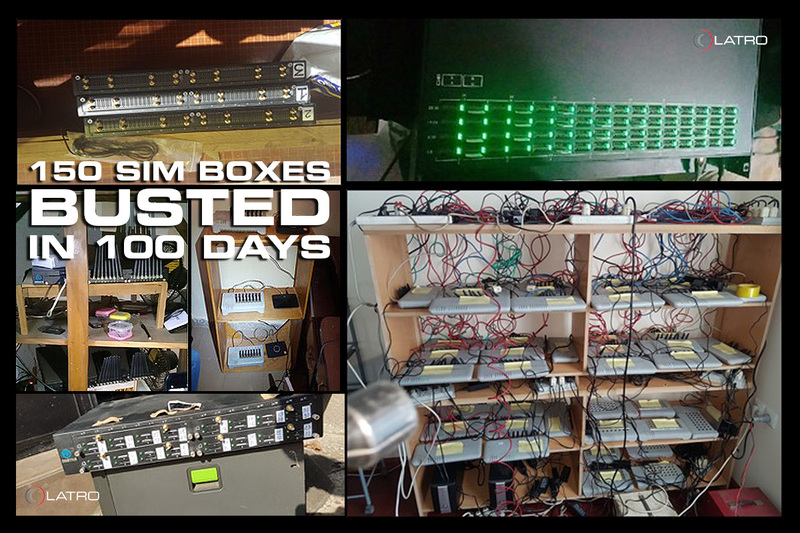 In total, the 150 SIM Boxes we helped to confiscate over the past 100 days contained 2,108 individual GSM modems. If consistently active for one month, these 2,108 modems could terminate 91 Million minutes of voice traffic during that period. The risk exposure to our clients is around $12M USD at that rate. Of course, there is not enough bypass traffic demand to warrant a SIM Box being active for all 1,440 minutes in a day. A more accurate representation – an estimated revenue recovery – based on actual usage of these devices shows that we were able to save our clients around $2.4M USD over just the past 100 days. 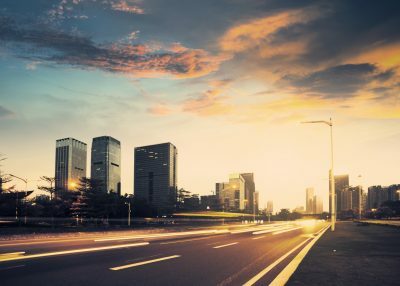 Geolocating and confiscating illegal SIM Box equipment is an effective strategy in a mobile network operator’s fraud control solution portfolio for several reasons. It causes a boost to international voice traffic volumes and revenue. As SIM Boxes are removed (or go silent while LATRO is in town), our clients experience measurable increases in international voice traffic revenues and immediate positive return on investment. 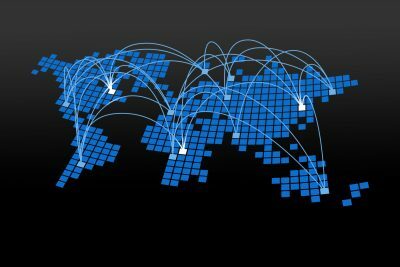 By removing the illegal devices from the network, it effectively reduces the supply of grey routes available for terminating international traffic. A reduction in supply results in an increase in price for grey route traffic and the removal of the arbitrage aspect that makes illegal traffic routing attractive to fraudsters. It raises the capital costs of running an illegal bypass fraud operation. Confiscated devices mean that fraudsters must make new capital investment to replace gateways and continue running their illicit business. More capital investment and higher costs helps to drive fraudsters out of the market. 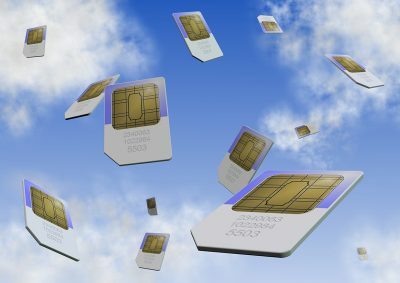 By prosecuting the individuals who host the SIM Box devices, it shows that mobile network operators are willing to take a hard stance against this type of fraud, and it will raise the risk and reduce the reward – thereby incentivizing would-be fraudsters to think twice before entering the market. In the mobile network fraud control solutions industry, there are a lot of abstract KPIs and phantom ROIs. At LATRO, a picture is worth a thousand – actually 2,108 to be exact – words.